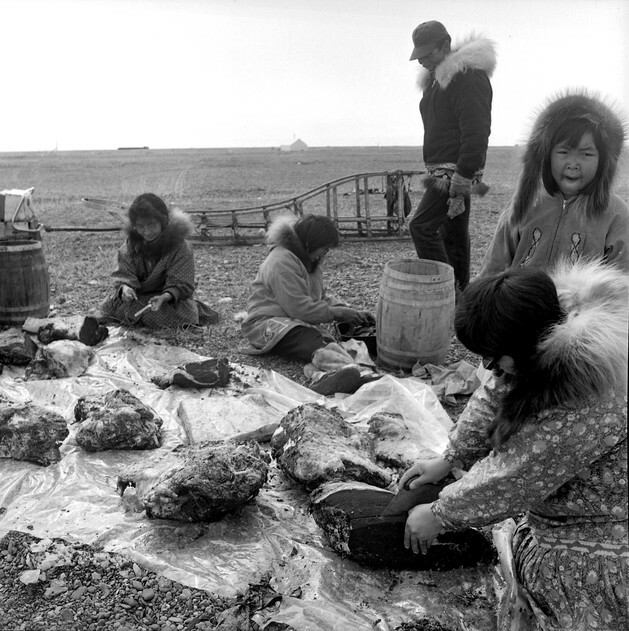 Women cut whale meat using an ulu. Point Hope, 1968. Courtesy of the Anchorage Museum, SM11199.